Traditionally, caviar is a type of roe derived from wild sturgeons in the Caspian and Black seas. However, when overfishing began to threaten the sturgeon population in many parts of the world, sustainable farming began to grow in popularity. At Eataly, we are proud to work with Calvisius, a northern Italian caviar farm in Lombardia that sources eggs from endangered sturgeons by using sustainable methods that save the fish — and deepen the flavor. So, when you savor our caviar, it will all be in good taste, both on the plate and for the planet. Plan your caviar-centric festivities with our guide below. Then, mark your calendar for Caviar Day when you can eat, shop, and learn all about caviar at a special price! You don't have to wait for an elegant event to enjoy caviar! The delicate ingredient offers a world of ways to incorporate it into your dinner (and impress any lucky friends and family who happen to be dining with you). Try our four styles of enjoying caviar, and then plan your experience. Chef's tip: always serve chilled! 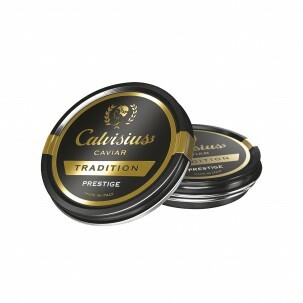 To properly savor caviar, connoisseurs advise a pure taste. Place a small amount on the back of your hand (between thumb and index finger), and feel the temperature and shape. Observe the dimensions and color. As your body heat naturally releases the aroma, smell the caviar. Finally, eat it, pushing the small eggs against the roof of your mouth with your tongue to fully absorb the flavor. 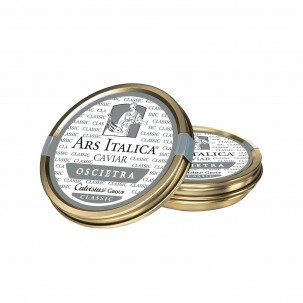 Because of its signature strong yet delicate taste, caviar makes a wonderful antipasto. Simply spread the smooth ingredient on unsalted crackers, buttered toast, or soft-boiled eggs. Add fresh herbs for a festive twist. Perhaps the best-known style of serving caviar is as a garnish to a primo or secondo course. Pair on the side of potatoes, grilled vegetables, and omelets. At Eataly, our chefs love to make caviar the main event by scooping a spoonful over each serving of polenta, pasta, and even smoked fish – the possibilities are endless. Just remember to balance the light salinity of the caviar with a more neutral, buttered dish. Now that you're a pro, all you have to do is get the prized product! Explore the variety online.